Lest the citizens of this fine metropolis think the magnificent views and amazing housing market are all that Denver offers her residents, we also have access to amazing higher education. In the 1860s a good friend of Abraham Lincoln, John Evans, founded Colorado Seminary, later to become the institution we now call the University of Denver (DU). While it was originally started by the Methodist church, it always welcomed those of all faiths and beliefs. The gold rush came to Denver, as it did to many mountain towns, and caused upheaval in the economic climate. Colorado Seminary, despite its dedication to education, had to temporarily close to reassess and position itself. Chancellor David Hastings Moore reopened the doors in the 1880s and dubbed the new institution the University of Denver. As the oldest independent university in the Front Range, the University of Denver has remained committed to education, and the Carnegie Foundation has marked it with the prestigious classification as a “high research activity” university. Opened in 2013, DU’s main library is in an energy-efficient services hub. The Anderson Academic Commons isn’t the only revolutionary, state-of-the-art research facility. 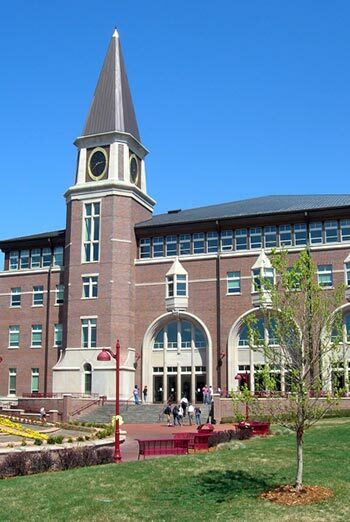 In fact, the University of Denver has added 20 new residential, administrative, and academic buildings since 1997! Just last October the Daniel Felix Ritchie School of Engineering and Computer Science opened on the Denver campus. Colorado is among the most educated states in the U.S. This stands to reason when we have such a stellar choice in our own backyard. If you are thinking about going back to school definitely look into this great university. Student or not, it's always worth it to take a tour of the beautiful campus or enjoy one of the great performances at the Newman Center for Performing Arts. Like many universities in Colorado, DU is also leading the way in environmental studies and policies. 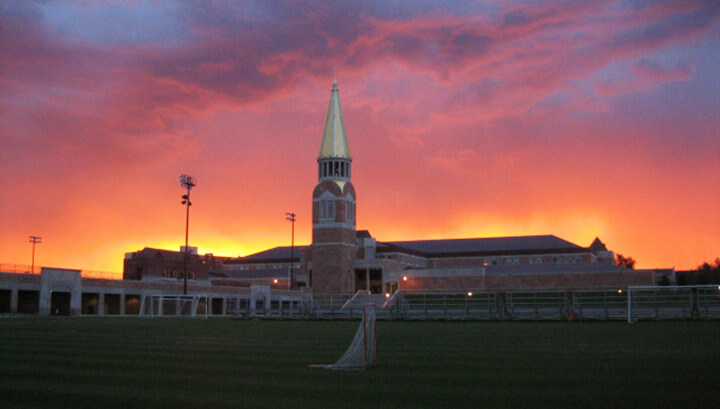 Through reusable energy credits, the University of Denver offsets 31% of campus energy usage. Making the environment a priority, DU created the Sustainability Council, composed of faculty, students and administration. The university currently operates the only CNG fueling station on ANY college or university in the entire state of Colorado. Unlike many urban-based universities, University of Denver has an amazingly diverse and visually appealing campus. The aforementioned Daniel Felix Ritchie building includes a gold-topped tower that stands 215 feet high. The Newman Center of Performing Arts is not only a stunning open area for gathering with friends; it hosts over 400 events a year. To retain a classic feel among all the cutting edge architecture, the Mary Reed Building is built with red brick in the Gothic style. Many families will purchase duplexes or homes near the campus the help their children have a safe place to live while going to school. Some sell the properties after they graduate or keep the properties as profitable rental units. 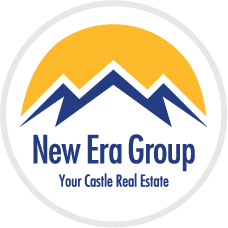 If you would like more information about real estate near the campus or investment opportunities contact us or call us at 303-991-9878. Feel proud Denver! Once again Denver is ranked as one of the fittest cities in the country. In fact, in 2016 we climbed another 3 spots up to 3rd from our 6th place spot in 2015. To us who live in the Mile High City, it comes as no surprise. With acres of parks, miles of paths, and such perfect weather it’s hard not to be in shape. Why is Denver Ranked so High? That is the elephant in the room isn’t it? For many of us, there are times when working out isn’t fun, or we just don’t have time. In a city with so many opportunities to be fit we need to be taking advantage of them. You don’t have to go to a gym full of the finest physical specimens of the world, or give up that occasional ice cream cone. Living healthy in Denver is easy. Here are a few numbers to get you going. 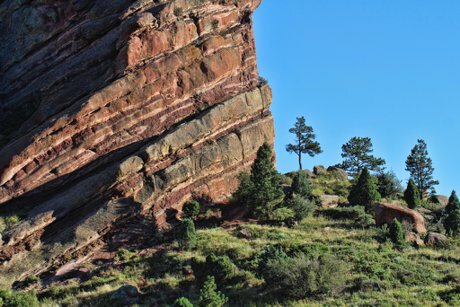 Denver has over 4,000 acres of traditional parks, 85 miles of paved bike trails, which are connected to hundreds of dirt or gravel trails, many small lakes and over 14,000 acres of mountain parks. I should also point out if head west on I-70 you’ll find yourself in nature’s paradise with the ability to walk and hike in some of the most beautiful mountains in the world. For more information on Denver Parks click here. I encourage you to get out of the house and enjoy your city. Honestly, we love helping people buy and sell homes in Denver, but even more, we love living here. I’ve met so many great people just walking around the neighborhood or throwing a Frisbee in Wash Park. You don’t have to start running a marathon the first day, just get outside and enjoy the scenery, the city and your neighbors. You’ll be surprised how great it makes you feel. So what do you say? Let's be Number 1 in 2017! This is a city known for champions. 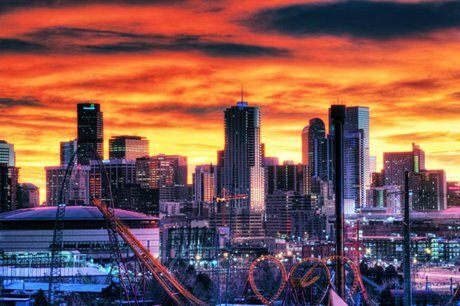 Whether it is professional sports, academia, or award winning restaurants and brew pubs, Denver is a city of greats. Let’s make an effort to improve our lives, the health of our children, and the well-being of our city. We are fortunate to live in one of the greatest cities on the planet and we should be taking advantage of every square inch. Come on Denver, let’s be number 1. See you on the trails! And if you do not live here, drop us a line so we can help you find the perfect home for you. The snow on the distant peaks and the howling wind has announced another glorious Denver winter. As we start digging through storage lockers, tubs buried in closets and our friends’ garages one thing is for certain, our condo or loft just doesn’t have the room for all this winter gear. It’s amazing how many “props” come with the winter snow. Not only are we inundated with several varieties and colors of scarves, but there are matching gloves, sweaters, flannels, hats and coats for every sporting and fashion event. Here’s a great idea we’ve seen. Take empty, and clean, paint cans and mount them to wall. 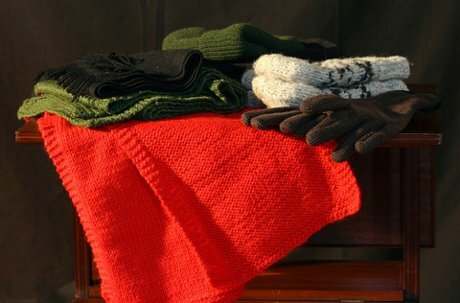 Not only can you hang a coat on them but you can put your scarf, gloves, and hat inside. Check it out here. Set up a few of these inside the door and you’ll have your most commonly worn items at your fingertips. Another cool idea is finding some vintage lockers at a business liquidation sale, estate sale, or industrial salvage business. While you can buy these online, sometimes half the fun is the hunt, plus the payoff is awesome. They are amazing for storing sweaters, ski clothes, and all the accessories you might need for the nightlife in downtown Denver or for a great day of sledding. Where to put Skis and Boards? There is nothing worse than getting home from a great day on the slopes and having to lug all your equipment up and down the stairs to the storage locker or to offsite storage. While many stores sell conventional ski racks, it is also fun to have something that is a little more fun. Enter once again the mighty paint can. Hang them close enough together to allow the skis or snowboard to fit neatly in between. To keep from damaging the floor, you can also get carpet squares or multi colored dishwashing trays to trap the melting snow. Another good option is to purchase a tall armoire and remove the inner shelving to create a hidden place to store your winter sport equipment. This can also work for year round storage of your winter clothing, equipment, and boots. 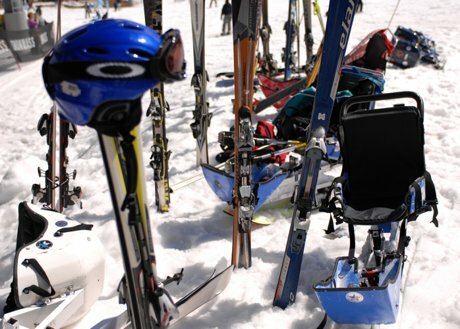 Check out this site for another cool DIY ski storage idea. Closet and drawer space are often at a premium in lofts and condos so use bookshelves to keep your sweaters and sweatshirts handy in the winter. Set up a large bookcase in your bedroom and in the winter store your books and other knick-knacks in favor of your outerwear. Combine colors and textures for a fun and exciting look. Finally, if all this seems a bit daunting, one easy idea is to simply swap summer for winter. Instead of renting a large space to store everything, simply store one season’s worth of stuff at a time. When the seasons change pull out the tubs and swap the contents. Make a commitment early to keep it lean and if it doesn’t all fit back in at the end of the season, donate or throw away unneeded items. 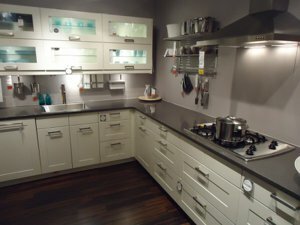 For more great ideas check out our other blog articles on storage here. And if you ever need help buying or selling a condo, come talk to us! Now get out there and enjoy the winter! Living in a Denver loft provides urban metro citizens the freedom to explore the city, enjoy Colorado’s natural environment, and experience some of the best nightlife of any city in the world. Living close to work means short commutes, less hassles, and the ability to get anywhere quickly. However, this enjoyment of life can often lessen the time available for cooking and planning family meals. Enter the amazing crock pot. First and foremost it is important to note that Crock Pot is a brand name, and many other slow cookers have evolved over time. The basic principal is a ceramic or porcelain pot is kept at a low temperature to evenly cook food over time using a liquid base. The liquids transfer the heat from the walls of the slow cooker to heat the food. This allows the food to cook slowly, absorb more flavors, and not require constant stirring to prevent scalding. It’s brilliant really. 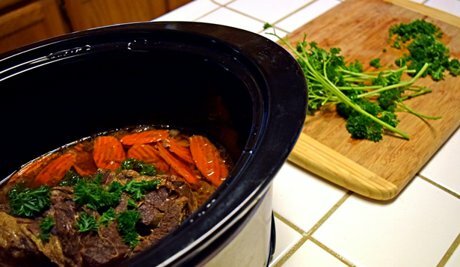 More info on slow cookers here. While more modern lofts have increased the size of kitchen space, many of the traditional warehouse lofts still struggle. This is actually one of the alluring qualities of loft living, because it opens up the home. The slow cooker is one of the loft owner’s best friends. Not only does it take up a small amount of space, but there isn’t a need for multiple pots and frying pans when making a meal. In fact, the set it and forget nature of the meal, makes it easy to return home from work to a perfectly cooked meal without all the hassles. Oh, the Things You can Cook! Denver is known for so many great restaurants and food choices and your slow cooker is no exception. Don’t limit yourself to split-pea soup, chili, or pulled pork. While these are awesomely delicious you can do so much more. Pot roast, cheeseburger hash, chicken meatballs, cabbage rolls, pizza soup are just a few yummy alternatives to the “traditional” faire. Want dessert? How about a hot berry cobbler or even a s’more cake? The options are limitless and twice as much fun. If you’re like me, you have a certain love/hate relationship with your closet. It is the keeper of my clothes, storage of all things small, and a perpetual battle of the wills. Although I’m not ordinarily a jealous man, there are times when I’m walking through houses with a home buyer and I become overwhelmingly envious of the closet. It still amazes me to this day how crucial and life-giving this space is in the home. But, it’s just a Closet, Right? There is one topic that continually comes up when we’re selling a home or helping a family find a new place to live, and yes, it is closet space. Think about it: while downplayed, this is some of the most desired square footage in a house, and at times as hotly disputed as the imaginary line in the back seat of a car. Homes designs vary widely and choosing a house without adequate space for all parties can quickly lead to mutiny. 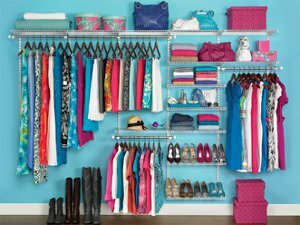 The closets are often overlooked when a new home search begins, so being aware of your needs is paramount before you look at homes. One of the most common reasons for buying a new home is the need for more room, so be very aware of how much space you need. Take inventory of what you already have before you begin searching so you understand your needs and desires. 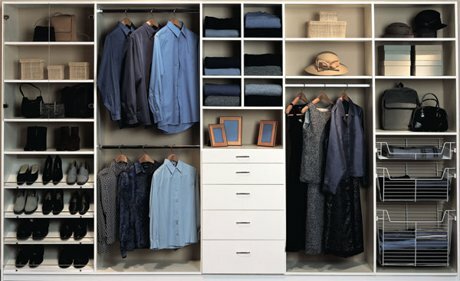 If closet space is important to you, be hesitant to purchase a home with small closets. While there are many options for storage and organization, if you don’t have the space you need you will probably be very disappointed in your new home. On the other hand, if floor space is more important than closet space, consider a home with smaller closets and use your creativity for storage. Antique armoires, dressers and under the stairs storage can quickly make up for lost square footage and bring a personal touch to your living space. You might also consider purging your wardrobe before you begin your new home search. I understand this is difficult, but you might be amazed with what is hiding behind the shoe rack. 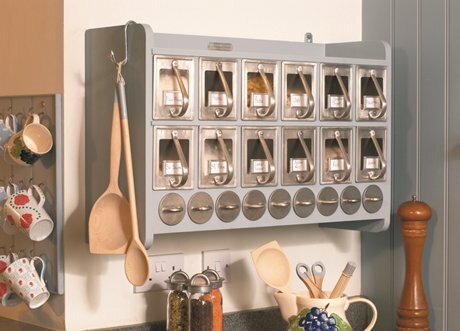 Click here for some great organizing ideas. By now it is quite apparent how important closet space is to home buyers, and the people walking through your house are no exception. (Trust me, they will look in your closets.) Your goal is to make them look as big as possible without spending a fortune. The first goal is to remove any extra items you don’t need. Take boxes to the garage or a storage unit to free up space. It is also wise to remove clothing you don’t wear often to make it look more open. Just be careful not to overdo it. If your closet is painted in a dark color, you may want to repaint it white or a brighter color to make it look larger. If the rods are broken or damaged you may want to replace those as well, but don’t do any major remodels or closet organizers unless your realtor recommends it. The best advice is to make the closet look like what you want. I have to admit that closet space is a big deal to me and with many of our clients. There is something peaceful about a spacious and well organized place for your clothes, and I know I’m not the only one who feels this way. If you need further information about how to stage for selling or what types of homes typically have the largest closets, give us a call. 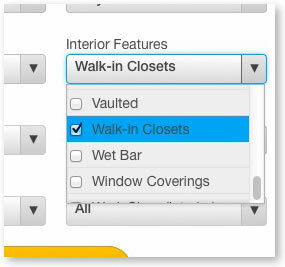 You could also use our advanced home search engine to find which properties have walk-in closets. (Hint: under "Interior Features" just select Walk-In Closets.) In the meantime, find your space and use it well. Two years ago, Caroline Van Velkinburgh bought this home to remodel it and resell it, but once it was fully remodeled and staged with modern contemporary furniture, she decided she wanted to live in it and enjoy the Cherry Creek lifestyle for a while. She has finally decided she will part with this luxurious home creating an amazing opportunity! Caroline’s favorite part of the home is the four outdoor patios. She loves the option between the unique front patio with contemporary privacy panels that is great for entertaining and feeling part of the pulsing Cherry Creek neighborhood or the private patio off the kitchen and family room where she can enjoy peace and quiet and a glass of wine or good conversation with a friend. Each of the two master suites on the second floor also includes private balconies that offer a quiet retreat. 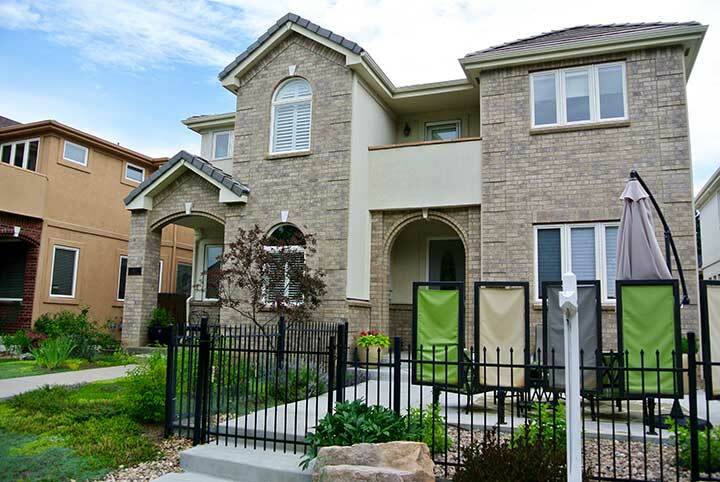 Other highlights of this beautiful townhome include a low-maintenance yard with only a small patch of grass out front and a drip system for all planters, a fourth bedroom which is rare for a Cherry Creek townhouse, two master suites upstairs, and a distinctive urban experience in Cherry Creek North! 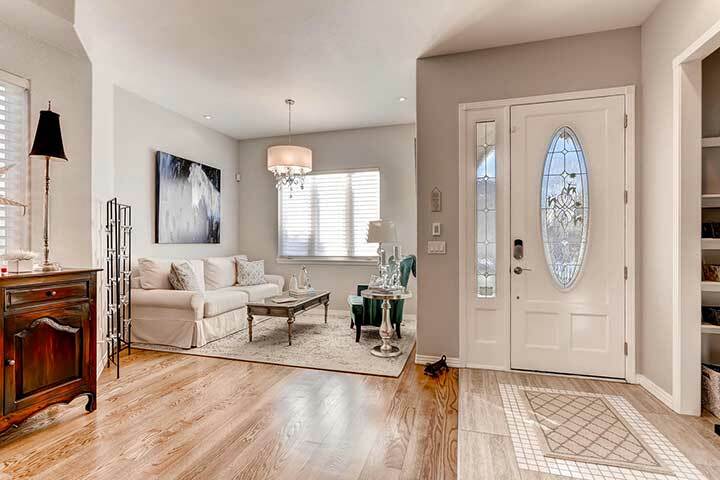 As soon as you walk through the door you will see why this tasteful home sets itself apart from the rest. Soaring 10-foot ceilings, beautiful new hardwood floors and sunlight will greet you as you walk through this warm and welcoming home. It has been totally renovated to the highest standards. No detail has been overlooked. Crystal chandeliers-mixed with modern light fixtures, silhouette window blinds, skylights, granite and quartz countertops, new hardwood floors all lend themselves to the premier modern contemporary look. The main floor is perfect for entertaining with a living room and dining area connected to the kitchen and casual eating area by a custom pass-thru butler’s pantry with beverage fridge and wine rack. The gourmet kitchen is complete with stunning slab granite countertops and an eat-at-island with a gas cook top, high-end stainless steel appliances, and pantry style cabinets added, for additional storage. Upstairs you’ll find a light and bright landing with large skylights and luxurious new carpet. There are two spacious master bedroom suites with 5 piece baths, chandelier, marble tile, new higher vanities, and private balconies. The main master is a private retreat complete with west facing balcony and spa-like master bath. The beautifully finished lower level with two legal bedrooms, full bath, a media area and ample storage, and the oversized, attached two-car garage with built-in loft storage and storage cabinets complete the home. Don’t miss your chance to have low maintenance living in an upscale home within one of the prestigious neighborhoods of Denver!! 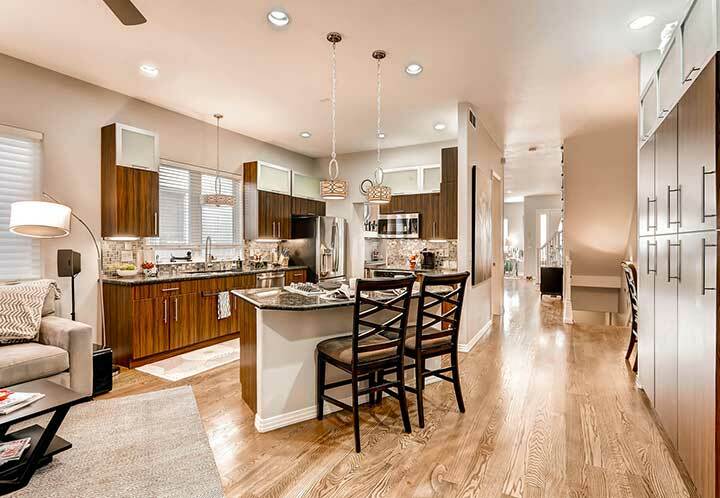 Cherry Creek North is a charming mixed-use community with tree-lined streets, inspiring public art, luxury real estate, outdoor patios, beautiful window displays and highest concentration of high-end retail anywhere in the Rocky Mountain West. 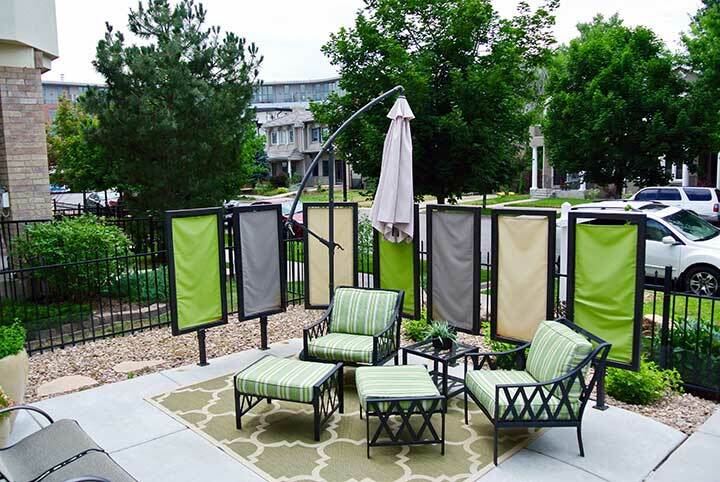 Living in the walkable Cherry Creek North community is a sought-after way of living in Denver. The shopping district includes designer boutiques, upscale home furnishings, world-class restaurants, exquisite galleries, posh day spas, outdoor festivals and community events. You can pamper yourself at one of the many relaxing spas and salons or treat yourself to a delicious dining experience at one of the neighborhood's many restaurants just steps from your front door. Not to mention, you'll enjoy your stroll through the neighborhood along peaceful tree lined streets and upscale real estate. Also in the neighborhood is the Cherry Creek Mall, Colorado’s most upscale indoor shopping mall; Pulaski Park, with a children's playground and concerts, the Cherry Creek Trail, a 24 mile creek side trail for biking, running and walking, Pura Vida and 24 Hour Fitness, Whole Foods, Safeway, Target, King Soopers, and it’s just five minutes from downtown Denver. More Cherry Creek info here. It’s summer, the season of hiking, swimming and fun. Oh, and don’t forget, it is also farmers’ market time. Denver is replete with farmers’ markets and many people take advantage of the fresh fruit and vegetables available around town. Some however, are still a tad nervous when it comes to joining in on the fun. So, whether you are new to the experience or a seasoned connoisseur, these tips will help you get the most out of your trip. Before you head off to the farmers’ market you need to be prepared to spend some there. You need to understand that this isn’t a quick trip to the supermarket to pick up a few things. To get the most out of the experience and the best buys you need to walk around at least once to get the lay of the land. Don’t buy the first thing you see because you never know what’s around the corner. Make sure you bring your own sacks and/or a cooler to keep things fresh on the way home. You may also want to make a bulk purchase and it will be easier to carry if you have your own stuff. It is recommended to make this trip the last one of the day or at least plan on going home before running any other errands. You don’t want all that yummy freshness to go bad in a hot car. The time you visit can be very important. To get the most popular items or the first pick of new crops you need to arrive right when it opens. To get the best prices come an hour or so before it closes. While most of the items have been picked over, the farmers may be more likely to negotiate bigger discounts rather than take the product home. This is a great time to make bulk purchases as well. Talk to the vendors. Most of the people are the actual farmers who grew the produce. Ask them where they grew them, when were they harvested, and how long they’ve been at the Farmer’s market. Take a genuine interest in who they are and what they do. Ask them what their favorites are, when certain items are in season, and how to pick the best produce. You’ll never get this opportunity with a stocker at the grocery store. If their products aren’t marked organic, don’t let it scare you. It can be quite expensive to get that certification, and they may actually be doing more than is required by law. By speaking with them you’ll get to know more about them and what they find is important. If you find you like what they have visit them often and let your friends know about them. If you can try to make bulk purchases especially on items that have a longer shelf life. Potatoes, corn, apples and other items can last longer than some fresh fruits and vegetables. 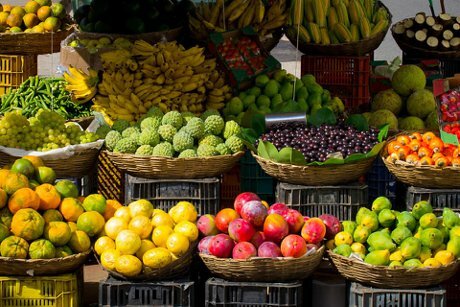 If you like to can, make jams or pies, this is a great opportunity to get the quantities of fresh fruits and vegetables you need at much better prices. You can also work with some friends or neighbors and split the purchases. During strawberry season for instance, if you have 3 or 4 people buying in you can all save money and enjoy freshly picked berries. That’s a win-win-win! While technology has allowed the vendors to use apps for credit cards, buying with cash is the way to go. Most will appreciate saving the money on service fees and the faster transactions. Sometimes you can even make a better deal when buying with cash. Bring small to medium bills so they don’t have to deal with making change, and rounding up to nearest dollar will always make friends. In addition, it can help you budget because you can only spend what you bring. I recommend you try something new every time you go. For instance, heirloom tomatoes. While sometimes not the prettiest vegetable (please no comments about the fruit vs. vegetable delineation here, we’re all friends) they sometimes are the best tasting. Try a new kind of fruit, sample some of the baked goods, even the healthy ones, and look for a vegetable you’ve never tried. Chances are you’ll run across a new favorite. Farmers’ markets are a throwback to days of old, when the people who grew the food also sold the food. Not only are you supporting them financially, but you are supporting your community and having fun. So this Saturday, get up an hour earlier and go check out your local farmers’ market. For the market closest to you, check out this link. Stuff, stuff, stuff. It is amazing how quickly we accumulate things. From clothes to knick-knacks, furniture to keepsakes, we have an innate ability to find things we must have. Throw in two boxes of Bronco’s Super Bowl souvenirs and now we are starting to build small castles of items. Our suburban friends simply fill up their garages. You know the ones; they have their cars parked outside because there is no room in the designated spots. As Denver urban loft and condo owners, we must be creative in order to keep those invaluable mementos. I have to start here. I know it pains us all, but it has to be done. I have a friend that had the privilege of working with hoarders on a regular basis. Not the typical too much stuff in the junk drawer variety, but the 18” path through the house type. He mentioned that 99% of the time over 90% of the items were either donated to charity or simply thrown away. While most of the things were “valuable” to the owner they rarely had street cred. It was often difficult, but it was the only way to make the home livable. Here is the rule, if you don’t use or wear something, donate it. Even if you do lose those 15 lbs. over the summer, make your reward a new pair of pants. The old ones are probably out of date anyway. Old magazines are rarely collectibles. If there are articles that are important, cut them out and put them in a binder, better yet, scan them and recycle the magazine. If it’s really important, have one page framed and put it on the wall. An easy way to sort is to make 3 piles. First pile is absolutely must keep, like mom’s favorite music box. Second pile is, I would like to keep but it is not important as the first pile and finally the last pile is stuff that must go. The trick is you only get to keep the first pile, and it must fit in one or two boxes. You will find yourself trading back and forth between piles. If you need help, find a pragmatic, unemotional friend. Often just the look of “are you really keeping that” will help you purge unneeded items. Look around your loft or condo. If you have tall ceilings think tall bookcases. You can use nice cloth or wicker baskets to store items high without revealing to the world your love for sappy, 1940 movies. You can also install a high shelf that displays those special treasures that would ordinarily end up in a box in storage unit somewhere. This saves you space to store other items. Think multipurpose -- there is an inexhaustible supply of ottomans and small chests that can double as coffee tables that also contain storage for blankets, games, movies or even movie snacks. Look for containers that allow you to store items under your beds. This is perfect for seasonal clothes and items that you don’t use all the time. In fact, store your off season clothes in your suitcase. If you only travel a few times a year this is a great place to store items and when you traveling having the items sitting on your bed won’t bother you. My final advice is to be creative with space you have. Open areas under stairs, corner cabinets and decorative armoires provide great opportunities to store items. 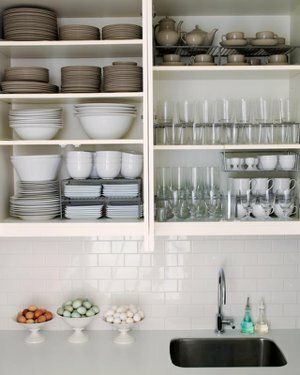 Hang pots and pans from the ceiling in the kitchen or create racks in your closets to maximize space. Get online and check out all the other great ideas from people that live in lofts, condos and mini houses from around the world. Here’s a good site to get you started. If you need more ideas, give us a call. We would love to share ideas, before those piles start building and I have to call my friend to come help you. 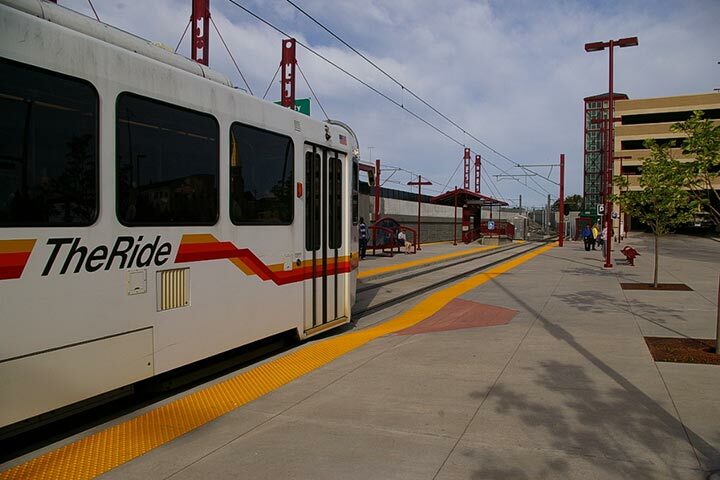 There are many things that make Denver such a great place to live and continue to give our Mile High home an A+ rating from people all over the world. Some reasons are commonly known, while others may surprise you. Denver is unlike most other cities. That’s why we love living here. Some of our idiosyncrasies have to do with our relationship with liquor. Usually, when a city was formed in the old west, it needed a bank, hospital, and jail. Denver started with a lowly saloon. Denver was originally named after James Denver. There were a few names in the hat, but Denver was accepted for a shared barrel of whiskey. Each year, Denver hosts the Great American Beer Festival, which is the top beer tasting and competition in the American brewing industry. 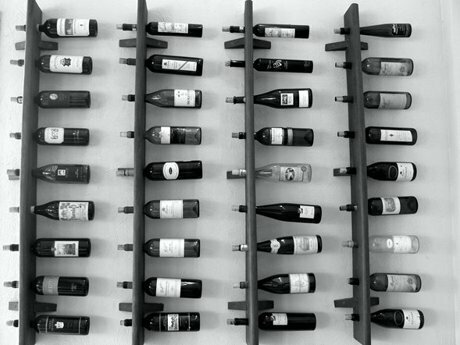 There are also more than a dozen wineries in the Denver metro area. But imbibe with caution; alcoholic beverages can pack up to 3 times the punch in a city as high as a mile. Don’t fret over Denver’s love of liquor leading to the beer gut. The Mile High City is also one of the healthiest locales in the nation. Denver has the largest city park system in the country, with 14,000 acres of mountain parks and 2,500 acres of natural areas. According to USA Today, Denver is one of America’s top 10 “thinnest” cities. The ranking is based on only 19.3% of its population being obese, which is low compared to other locations. Our altitude affects our attitude in exercise, too. Take note, golfers! Golf balls in our fair city roll 10% faster than they do at sea level. Denverites sure love the heck out of our fur babies, and they are getting in on the healthy action too. Denver was rated as the healthiest city in the country for pets by Purina, ranking high in categories like veterinarian to pet ratio and low number of fleas. We love our night life, our health and our pets. We also love the arts like no other city. Did you know that Denver spends more per capita on art than any city in the United States? This isn’t a new thing. During the Gold Rush and the city’s inception, Denver had a performance of Shakespeare’s “Macbeth” before it even had a hospital or school. The city itself was built with aesthetics in mind. The 16th Street Mall in the heart of the city was created by I.M. Pei, who is a master architect who even designed the glass pyramid outside of the Louvre. If you look at the walkway of the mall from an airplane, the hundreds of thousands of granite paving stones are made to look like the skin of a western diamondback rattlesnake. Obviously, Denver is unique in more ways than these. John Denver changed his name to pay it homage. Now THAT is love. Regardless of the reason for your infatuation, Denver is a city that loves its citizens back. It provides a beautiful place to work and have fun. The scenery is second only to the art. The Mile High city makes sure its citizens can stay happy and healthy enough to enjoy it for many years to come. If you are not here already, come join us! By far, one of the most amazing things about owning a home is the ability to decorate it and do makeovers whenever you want. As spring approaches, we all feel the urge to purge the clutter and organize. In addition, many of us have income tax returns burning holes in our pockets. The most important room in many homes is the kitchen. With some easy organizational tips, you can make your dollar go further and scratch your spring cleaning itch into submission. You don’t know where you’re going if you don’t know where you’re at. Starting from scratch is integral to any organizational plan. Empty out all your cabinets, keeping in mind three options: sell or donate, throw away, and keep. Pile all of your kitchen items according to those three labels. Take a look at your newly formed piles. Separate the “keep” pile into smaller piles by function: storage, cookware, utensils, spices, etc. And of course, your trash pile. Get the unwanted items out of your house as soon as possible and remove the “donate” pile from your sight, as you will be tempted to keep it “just in case.” In fact, have a friend take it down to the thrift store right away. Now, let’s talk about where you’re going to put the items in each pile. Much like Denver property, location is the key. Cookware does take up a lot of space, but fight the urge to tuck it away, as you will need to access it easily, and if you can’t, all your hard organizational work will be undone in a matter of weeks. The house builders know that the pots take up the most space, so they have created the bottom cabinet for just that! Here’s a trick. Store your pots with the handles in clear view. Not only will this give you ease of access, but you will be able to see the volume/size of each pot easily. Where to put the other items? Dishes should either be by the dishwasher or dining table. You get to choose. You’re the homeowner in Denver for goodness sakes! Like your dishes, your spices should be arranged by frequency of use. Tip: Put cork on the inside of the cabinet door to pin take out menus and recipes out of sight. Whatever you’re doing, have fun. Make it a family event. Maybe even bake some cookies or have a “where’s the potato peeler contest.” However you do it, organizing and updating the kitchen not only makes your life better, but it can also add to the value of your home. For more tips give us call or check out the other great articles on our blog. Good luck and happy organizing.